Brace yourself, America, for a political sideshow unseen since Anita Hill famously testified about pubic hairs during the confirmation hearings of Supreme Court Justice Clarence Thomas. 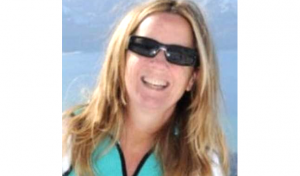 Christine Blasey Ford, a clinical psychology professor at Palo Alto University in California, now says that Supreme Court nominee Brett Kavanaugh behaved badly when they were in high school. With a Senate committee vote on the nomination pending Thursday, many senators including our own Republican, U.S. Sen. Cory Gardner, says the accuser deserved to be heard before that vote. We agree she needs to be interviewed by the committee ASAP to get her side of the story we’ve only read about so far in a media that can’t stand the man who nominated Kavanaugh. We’re not convinced that Ford herself should appear publicly as part of the confirmation process in front of the committee, because it will only lead to a dog-and-pony show like the one we previously referenced. The behavior Ford describes is disturbing, even if it did happen 40-years ago among high schoolers. We would be more concerned if this was a pattern of behavior exhibited, in say, the last decade, or two, when Kavanaugh was an adult. Yes Ford is a Democratic activist, but that aside, the committee should at least interview her to determine whether her accusations should become part of the record. « STARK DIFFERENCES? Who Knew Hick and Trump Had so Much in Common?